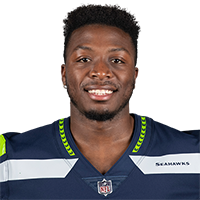 Published: Nov. 25, 2018 at 06:59 p.m.
Seattle Seahawks wide receiver David Moore catches for a 15-yard touchdown pass from quarterback Russell Wilson. Published: Oct. 14, 2018 at 07:22 p.m.
Seattle Seahawks quarterback Russell Wilson delivers pass to wide receiver David Moore as goes over the wall after the touchdown catch. Published: Oct. 7, 2018 at 09:48 p.m.
Seattle Seahawks quarterback Russell Wilson lobs a deep pass to wide receiver David Moore for a 30-yard touchdown.